← The Secrets of Spider-Man! 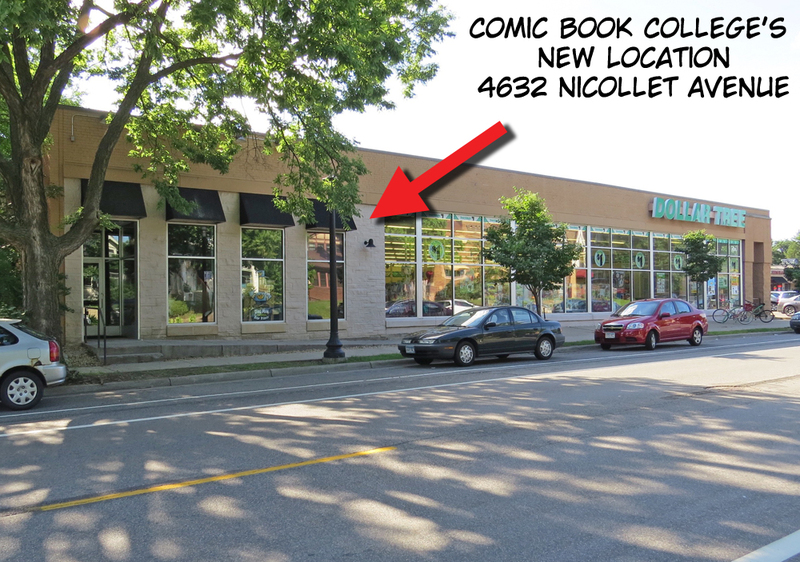 When a scene in Sally Forth calls for a specific locale (grocery store, movie theater, etcetera) I’ll often use spots around my hometown of Minneapolis for reference. 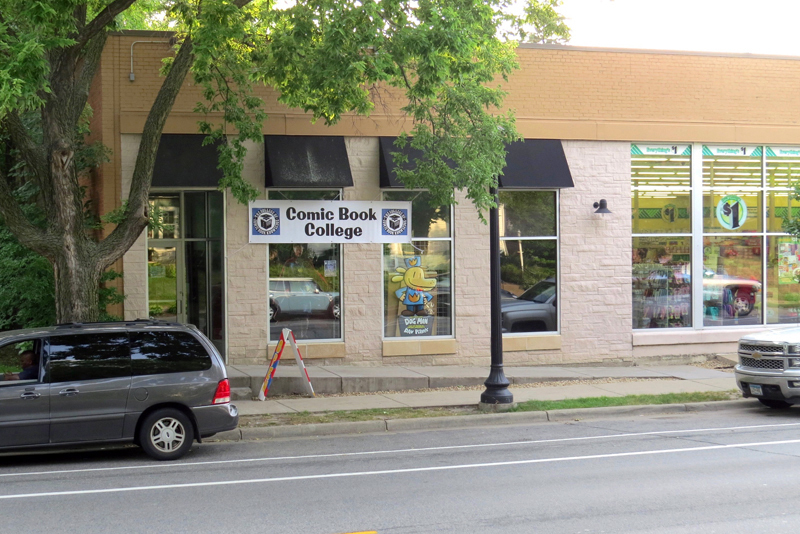 For Hil and Faye’s local comic book shop I picked Comic Book College. 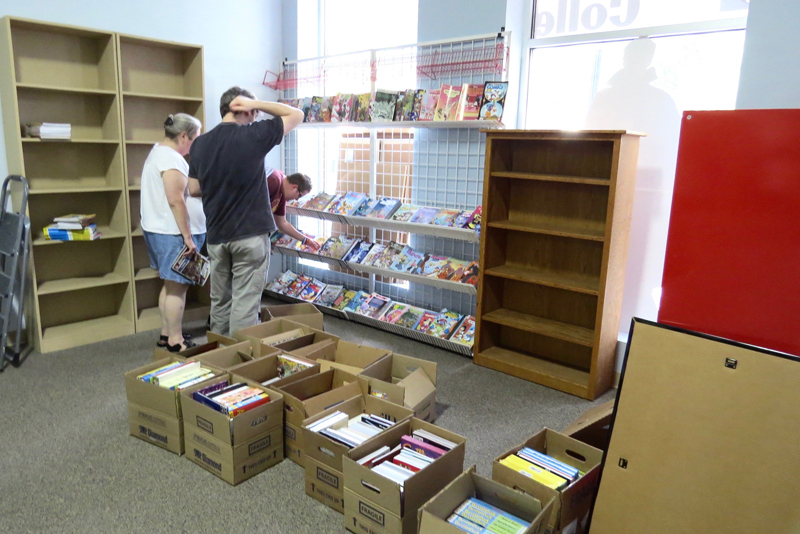 I use this comic book shop as it holds some nostalgia for me. 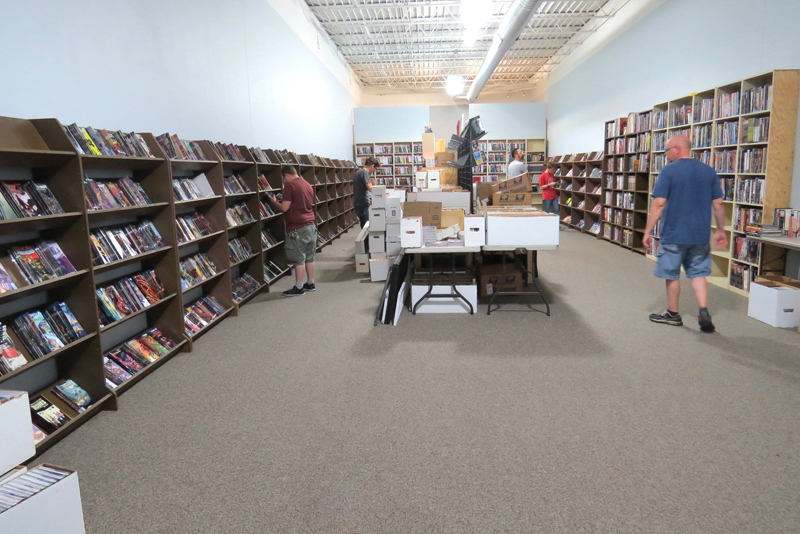 When I was growing up in Minneapolis in the 1970s the collector’s market for comics was just getting underway. The two places to get back issues were Shinders on 7th and Comic City. 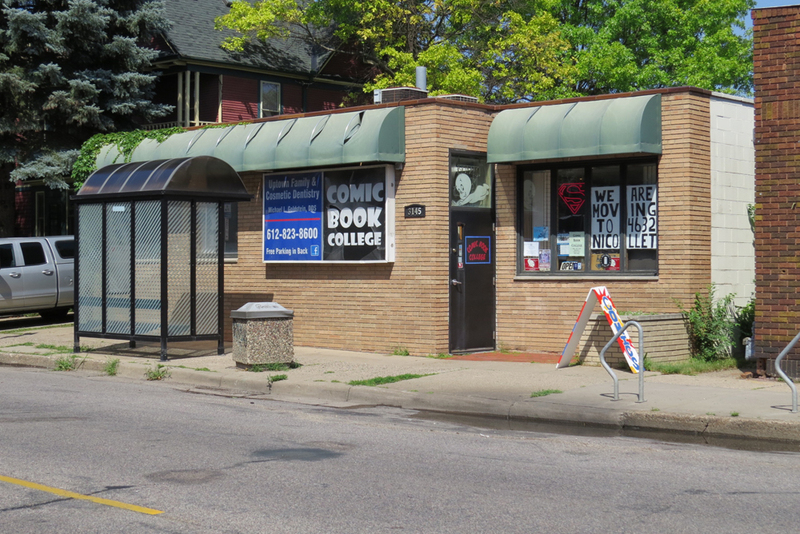 Shinders on 7th was torn down decades ago but Comic City survived, morphing over the years into Comic Book College. 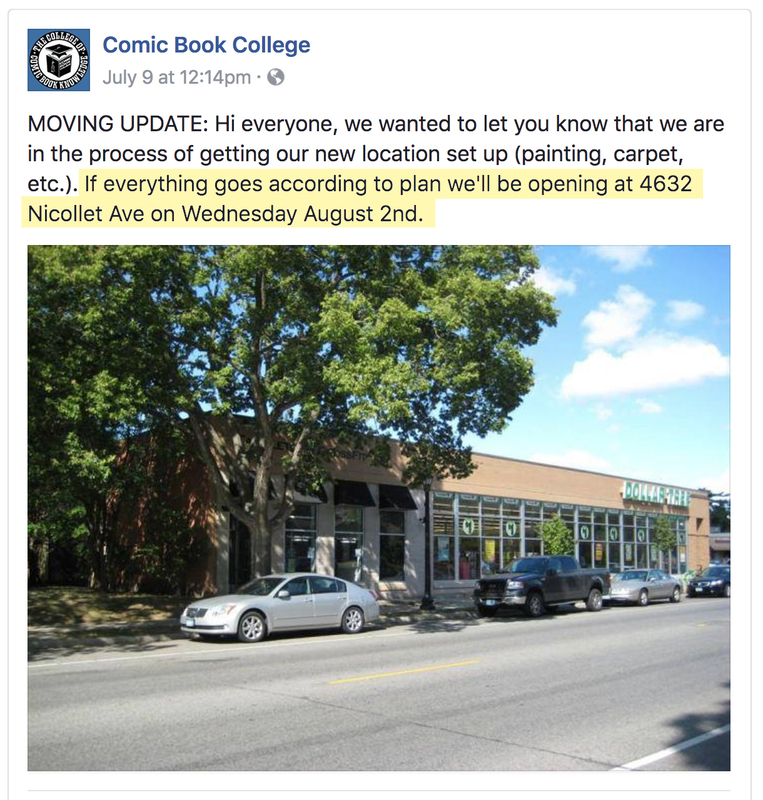 And now Comic Book College is moving to it’s new location at 4632 Nicollet Avenue. So here’s wishing Tim Lohn and his crew all the best at their new location! 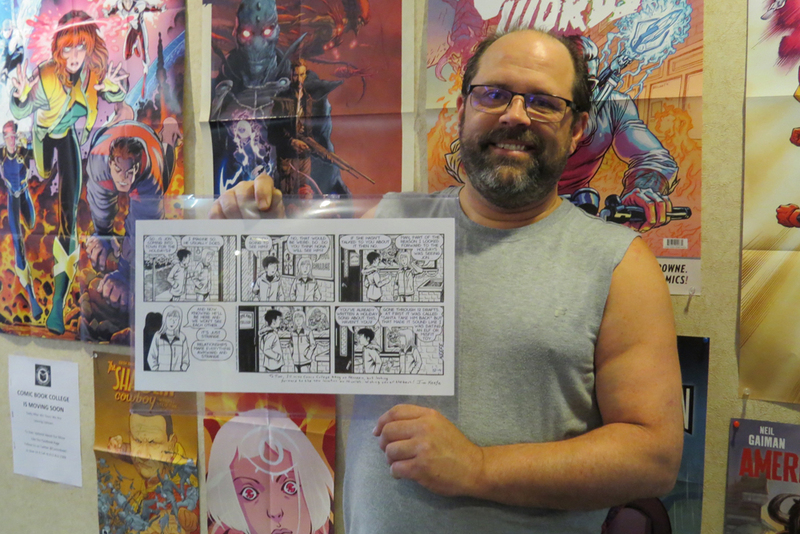 Tim Lohn with original Sally Forth page featuring Hil and Faye going to Comic Book College. 12/4/2016 Sally Forth page Tim Lohn is holding in prior pic. And last but not least, from the Comic Book College Facebook page. 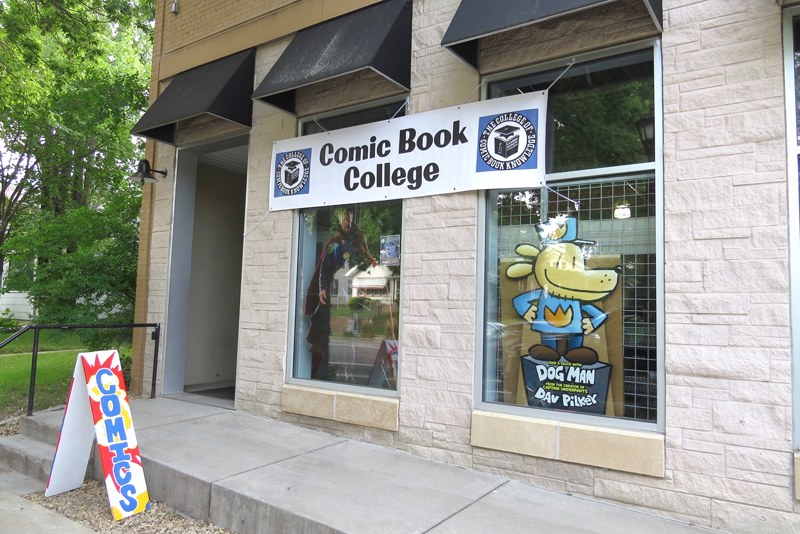 Comic Book College is open and ready for business! Kids section by front window getting organized. 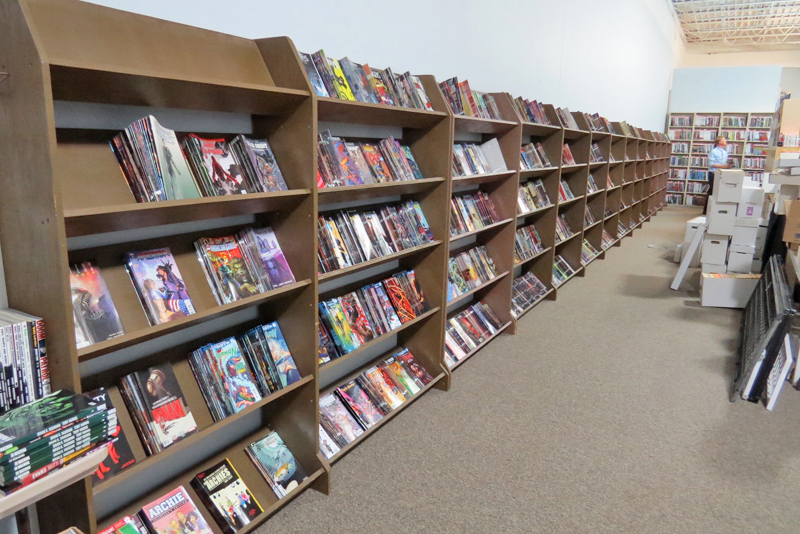 Long row of new comics. 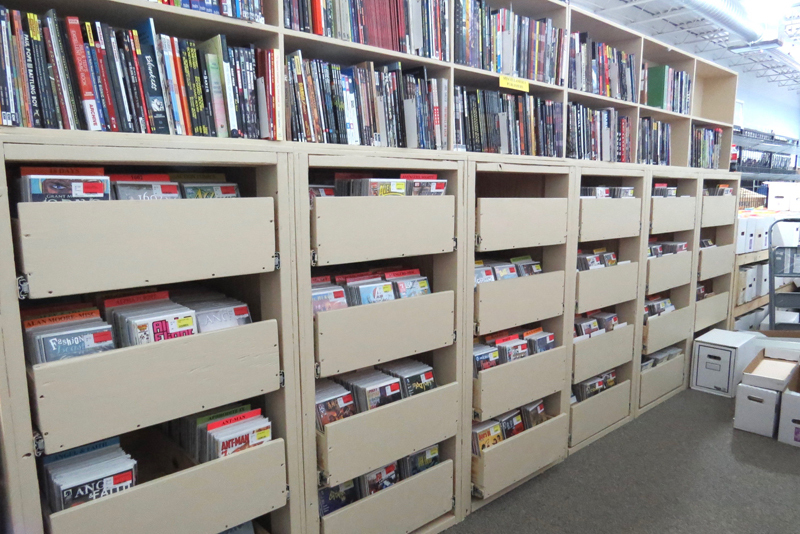 Back issue drawers with graphic novel shelves on top. 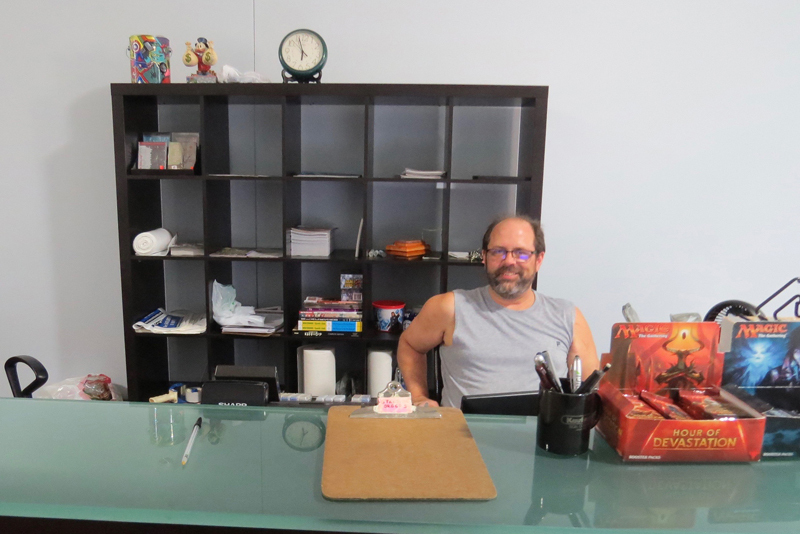 Tim Lohn on day one at the new location. Talked to owner, Tim Lohn, and he said he didn’t quite get everything over to the new store yet, but they are open with what they’ve got so far and will just keep working on it over the next few weeks. 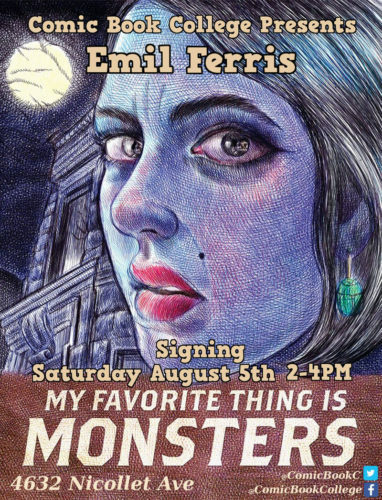 And coming up Saturday at Comic Book College – Emil Ferris! This entry was posted in Sally Forth and tagged Comic College, Emil Ferris, Tim Lohn. Bookmark the permalink.